This is one of many aircraft we saw at the Bert Hinkler Museum in Bundaberg, Queensland. 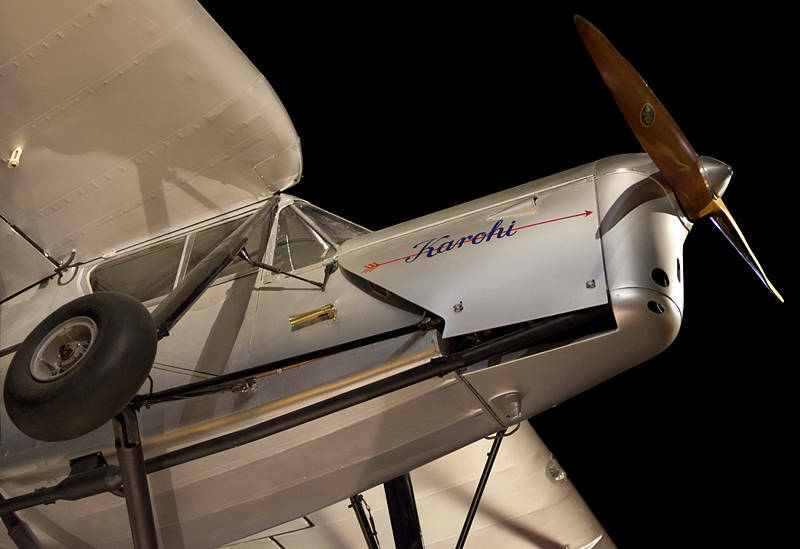 This de Havilland Puss Moth was modified by the pioneer aviator to break records. Bert was the first to fly from England to Australia in 1928. Today is the anniversary of his final flight in 1933 in which he attempted to retake the record. He crashed on an Italian mountain and was buried with full military honours on Mussolini’s orders.